95% of first-time home buyers are willing to sacrifice to make home-ownership a reality. 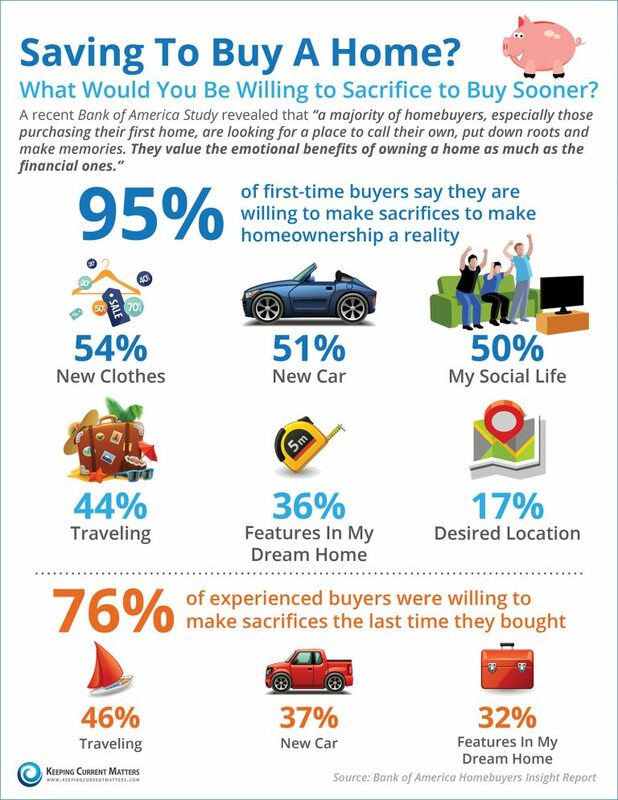 The top thing that buyers sacrifice are new clothes at 54%. Even repeat or experienced buyers say they sacrificed taking a vacation or buying a new car to buy their last home.